Today we fully released real time notifications for teamwork collaboration (known as push notifications – more about technical side of this will be posted soon). 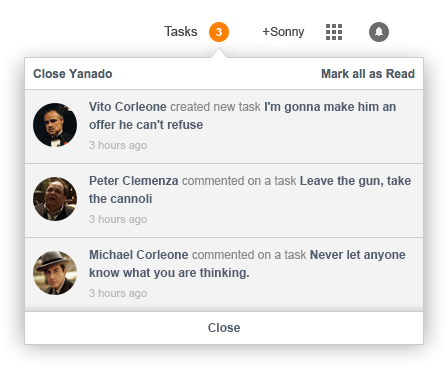 From now on, when you share your task with your teammates, whenever they update it or post a comment, you’ll immediately see the changes – all in real time. You don’t have to refresh a list in order to see what has been altered. 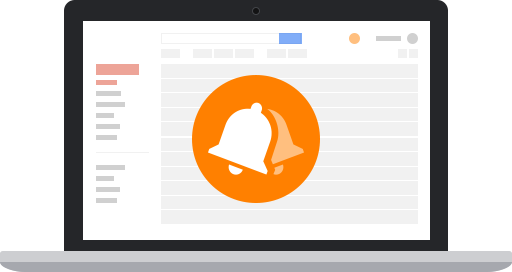 Real time notifications supported with Chrome desktop notifications are live now. Don’t worry if you missed the desktop notification because you can always see new updates next to the Gmail search bar. Just click on the icon and you will see the list of received notifications and stay up to date with the changes in your project. There’s one more important update today. From now on, you can close the Yanado bar completely (hide it from the Gmail) and open it up only when you need it. To do that, click on the notification icon and then click on the Open Yanado link at the top of the notifications dropdown. Yanado will be immediately visible again in your Gmail. Many of you asked for this feature so we hope you will like it. Check out the video below to see how all of this works. We know that there are many things that we’ll have to work on now that we have a real time push notification system, so please, help us out, send us your feedback, ideas or issues so we will know what we need to do in order to make Yanado great for its users.